On 19 February 1942, 10 weeks after leading the attack on Pearl Harbor, Japanese bomber pilot Mitsuo Fuchida, flying from same aircraft carriers, attacked Darwin, Northern Territory, Australia. Captain Fuchida made sure they did not repeat the mistakes made at Pearl Harbor. The Japanese air raids on Darwin -- often called the "Pearl Harbor of Australia" -- used more aircraft, sank more boats and dropped more bombs than at Pearl Harbor and dealt a psychological blow to the Australian population, just weeks after hostilities with Japan had begun. Australia was determined to strike back and therefore welcomed the 1943 arrival of the American 380th Bombardment Group and their long range B-24 'Liberator' bomber aircraft . The 380th was placed under the control of the Royal Australian Air Force (RAAF) command in Darwin. The B-24 was a heavy bomber, which ended World War II as the most produced Allied heavy bomber in history, and the most produced American military aircraft at over 18,000 units. It was the weapon needed to strike at the heart of the Imperial Japanese Army. In evaluating how to strike back at the Japanese, RAAF intelligence knew that half of all lubricating oils used by the Japanese military, and 60% of all their aviation gasoline, came from refineries in Borneo; hundreds of miles behind enemy lines and almost an impossible target to reach -- but it had to be done. 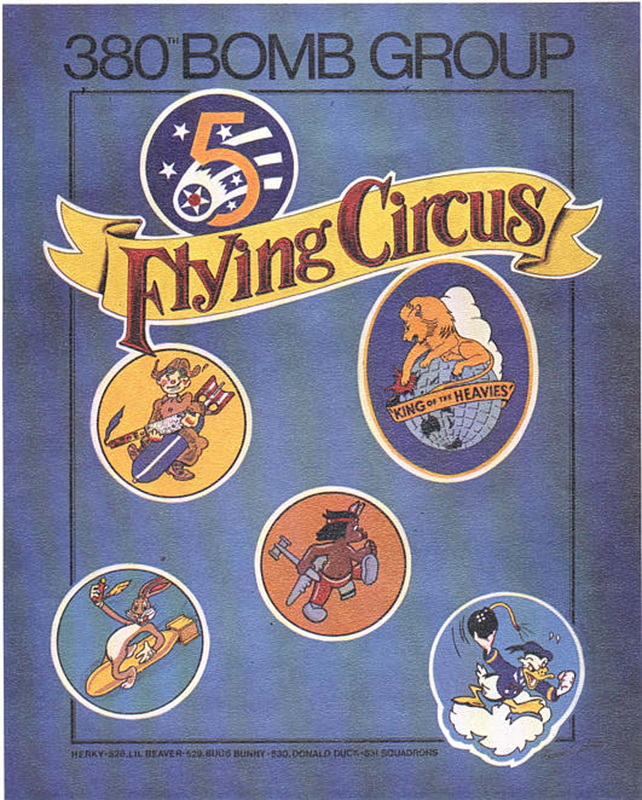 With a lot of luck, the B-24 bomber might just be able to reach the target, but would they be able to get back? 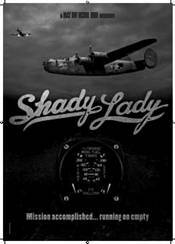 'Shady Lady' is the epic story of the B-24 bomber aircraft called 'Shady Lady,' that set off from Darwin on Friday, 13 August 1943, on what was at that time the world's longest ever attempted bombing mission of WWII, to the oil refineries at Balikpapan, Borneo. 'Shady Lady,' with a crew of 10 and one RAAF photographer, was one of eleven bombers that chased the setting sun westward past Timor, into heavily defended enemy territory. The crew of 'Shady Lady' under the command of First Lieutenant, Doug Craig, had a hazardous journey to the target. Flying through numerous tropical thunderstorms that caused severe turbulence and greatly hampered navigator, John Nash's ability to carry out celestial navigation. Despite all the odds, all 11 aircraft arrived individually at their target. 'Shady Lady' was the last to arrive and was tasked with not only attacking the target, but to also photograph it. As she flew over her target for 45 minutes, searchlights tracked 'Shady Lady' to help the anti-aircraft gunners destroy her. As anti-aircraft fire exploded around 'Shady Lady' and rocked the aircraft violently, waist gunner S/Sgt. Maurice "Slim" Powers, with nerves of steel, decided to inject a little humor into the tense situation. He pretended to take a curtain call at his gun window. Much to the other gunner's amusement, he repeatedly bowed in the limelight, shouting, "Thank you, Thank you very much." On her journey back to base, more tropical thunderstorms threatened to tear the wings off 'Shady Lady.' When day finally came, the 'Shady Lady' crew realised they were miles off course and had no choice but to overfly a main Japanese air base in Timor, if they had any chance of getting back to Australia alive. Japanese fighters had no intention of letting 'Shady Lady' fly back in one piece. After an hour-long, very stressful dogfight that tested the crew to the very limit, 'Shady Lady' finally escaped and headed for Australia. With fuel all but gone and running on empty, the aircraft was in a dire situation. The aircraft commander was preparing to ditch the aircraft when the northern coast of Australia was sighted. With just minutes of fuel remaining, the commander spotted a saltpan near the coast and prepared the crew for an emergency landing. The commander had to land the aircraft in impossible circumstances, with no second chances. Apart from the nose wheel collapsing and the resulting damage to the front of the aircraft on landing, there were, incredibly, no serious injuries. It was 0945 hrs, sixteen hours and thirty-five minutes since their departure from Darwin. This had become the longest ever bombing mission ever carried out to that day. Miles from anywhere, the crew and aircraft had to now be rescued. Radio contact was eventually established with Darwin and provided the stranded airmen with the hope of rescue the following afternoon. This hope materialized in the form of Father Seraphim Sanz, the priest at a local mission. A new race against time had started. The saltpan where 'Shady Lady' landed was due to flood soon as the season changed. Engineers were brought in to make temporary repairs to the aircraft in extreme conditions of heat, little water, and limited facilities. This was one of Australia's harshest locations. Under constant attack from thousands of 'sand flies' crews worked around the clock to fix and lighten the aircraft by removing unnecessary parts such as armament and ammunition. New parts and fuel had to brought to 'Shady Lady' and this was done by Aborigines who carried them over very difficult terrain for tens of miles. With only days to spare, 'Shady Lady' was finally pushed back and prepared for what sadly became her final take­off. 'Shady Lady' was never to fly again in combat, too badly damaged from the crash landing. The site where 'Shady Lady' landed is today an Australian Heritage Site with parts of the aircraft still there and the tracks from her landing still visible, frozen in time due to the geological features of the area. Filming is to take place this summer at the actual site in Australia where Shady Lady landed and where the tyre marks and parts of 'Shady Lady' still remain, 68 years later.